As you all already probably know, i am obsessed with Models Own nail polishes. I have so many! I decided to purchase two more colours, Beth's Blue & Champagne (i will do another blog post on this colour when i try it out). Beth's Blue is a stunning colour, it reminds me quite a lot like my favorite Lilac Dream by Models Own. I think this is a new colour from Models Own It as i didn't see it before when i ordered all my other ones. It is up there is in my new favorites. It glides on so smoothly and evenly. I only had to put one coat on and it looked perfect, but i did put on a second just to even out any missed edges! It does look more 'blue' in the photo's, on my fingers i think it looks a violet colour. 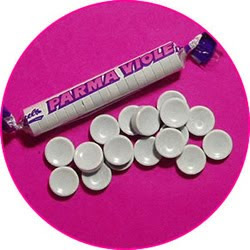 Ok...i know it looks nothing like them in my pictures but in 'real life', It really reminds me a lot like parma violets! I love that colour too, I just made another order! i like the color without the flash!! !